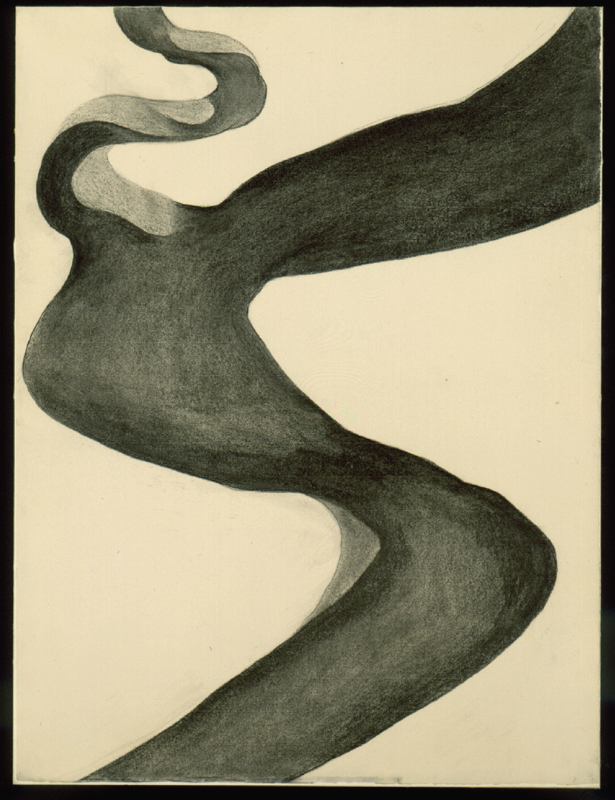 Starting on Wednesday, Nov. 21, our current contemporary exhibition Making Waves—which is located in the Clare Boothe Luce Gallery of Modern and Contemporary Art and features artwork by women artists who are inspired by the fundamental element of water—will be refreshed with 17 new works on paper pieces. In addition, 21 works will come down. Many of the works are by the same artists (so don’t worry, fans of Kenda North and Suda House), but there are several new artists going on view, including Georgia O’Keeffe and former Hawai‘i-based artist Dana Teruya Len. California-based artist Suda House’s Aqueous Myths series, taken with a large-format 4 x 5 camera, was inspired by her experiences as an award winning rough-water swimmer. These images were created by photographing a model in a homemade plastic pool surrounded by props such as artificial plants, fish, cellophane, and glitter. The artworks were titled after mythological figures associated with the ocean. In the ancient Greek legends, the princess Leda was seduced by the god Zeus who took the form of a swan; while the sea god Palaemon was believed to come to the aid of sailors in peril. Using a high-resolution digital camera in an underwater housing, photographer Kenda North creates pictures that convey a sense of buoyancy, fluidity and weightlessness. These photographs from the Submerged series incorporate figures within a field of blue, surrounded by flowing fabrics such as lace and tulle. The flattened spatial depth achieved by working beneath the water’s surface produces mysterious and otherworldly images. 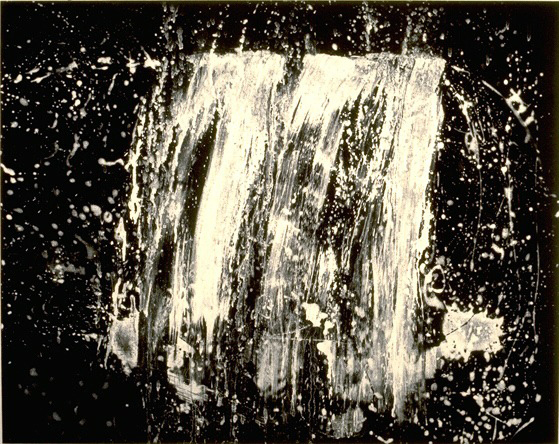 Pat Steir’s “Waterfall” paintings and prints are created by oversaturating a brush with paint, or in the case of Big Fall, Black and White, with an acid mixture applied to the surface of a printmaking plate prepared with powdered rosin. The acid bites into the texturized surface, creating pits and grooves, which will then hold ink. The aquatint technique permits Steir to initiate the process, while allowing the medium to flow freely down the surface of the plate. The resulting collaboration between the artist and the natural process of gravity produces an image at once spontaneous and controlled. 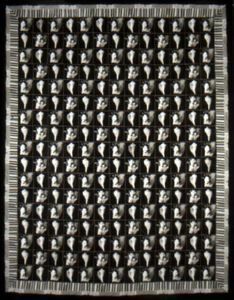 To create her multi-panel pieces such as Rompecabezas (Spanish for riddle or puzzle), Janica Yoder gathered an assortment of images taken at different times and grouped them together based on instinct for what worked visually and thematically. While her subject matter is derived from her history and surroundings, Yoder leaves it up to the viewer to discover their own interpretation. 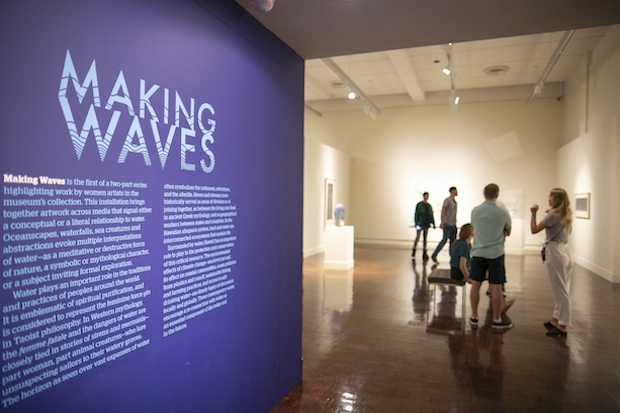 Making Waves is on view until Feb. 3.